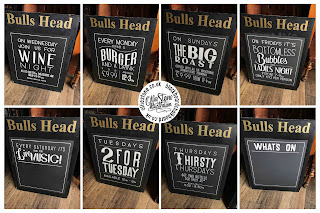 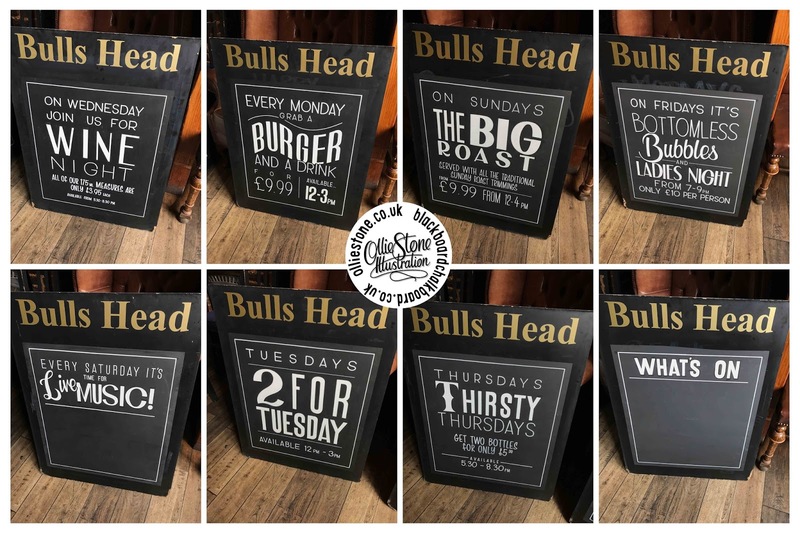 Simple signage for The Bulls Head, Reigate. 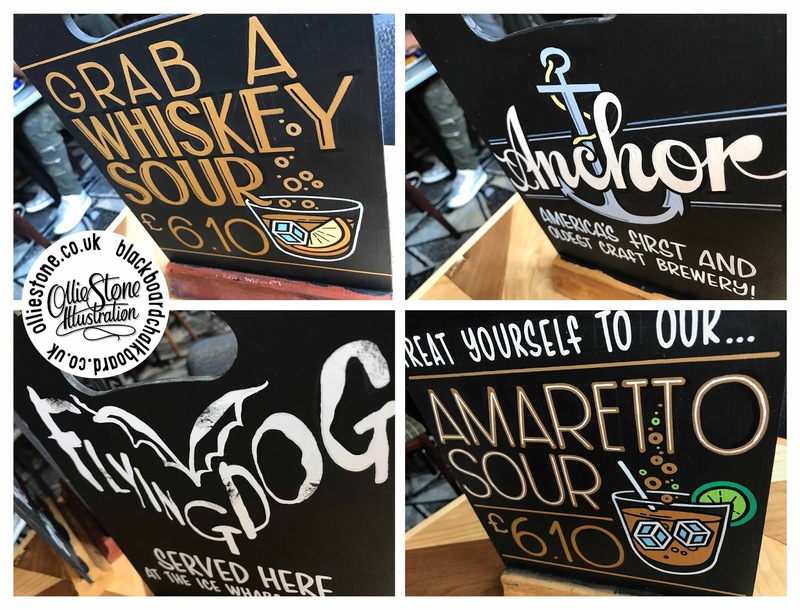 Tombstones for The Ice Wharf, Camden, London. 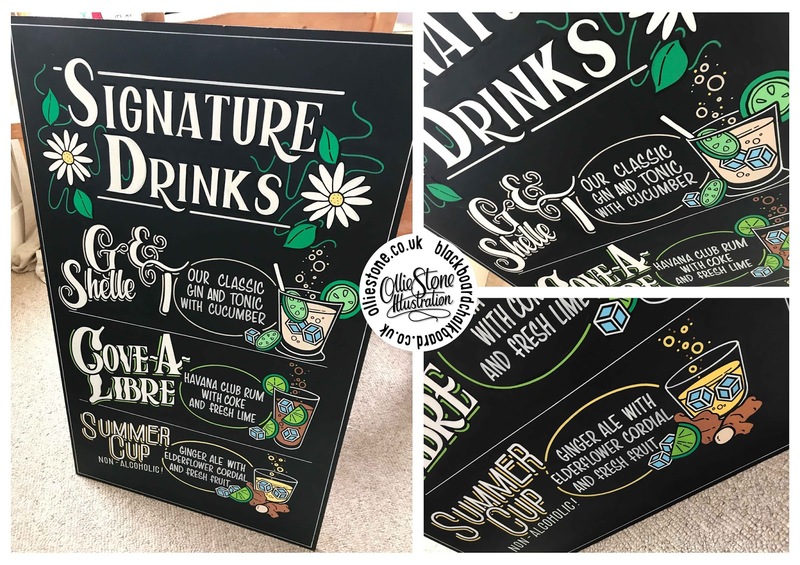 Wedding Drinks board - Private Commission. 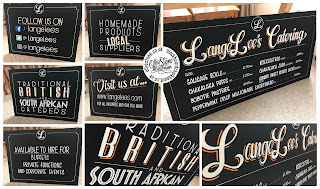 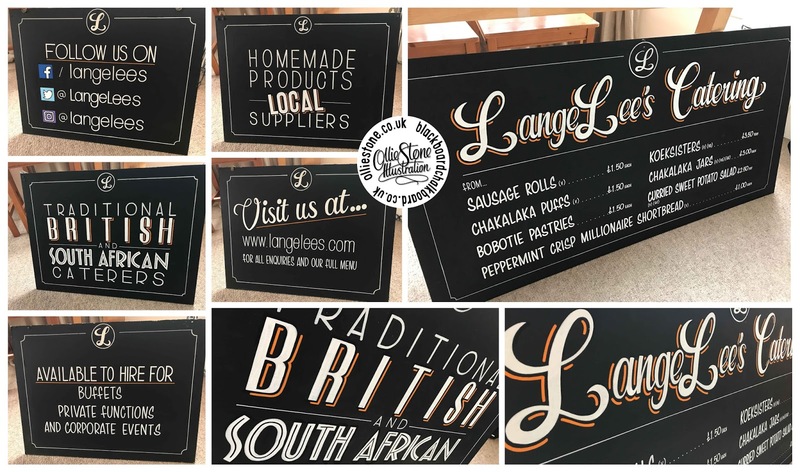 Menu signage for LangeLee's, Brighton. 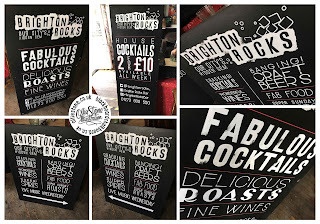 Menu signage for The Mash Tun and Sidekick Kitchen, Brighton. 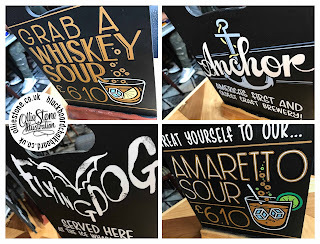 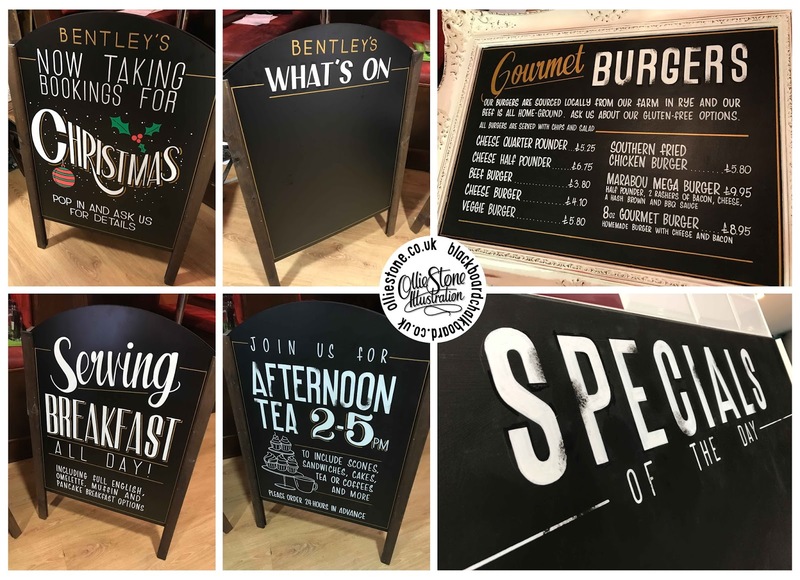 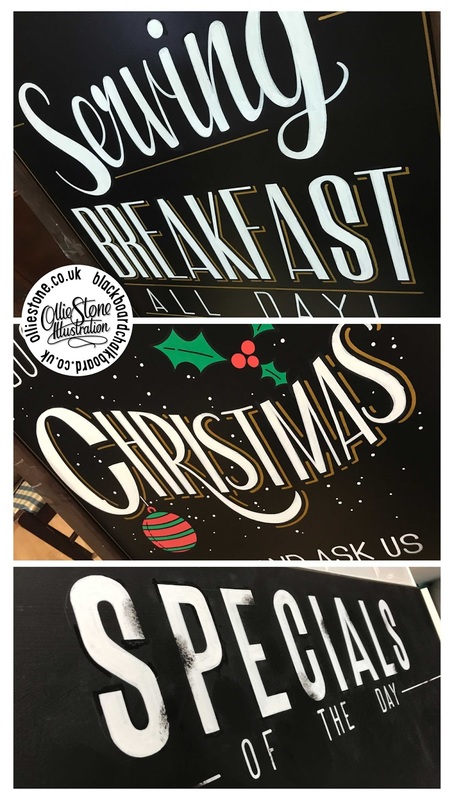 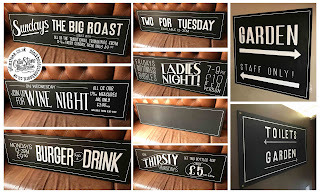 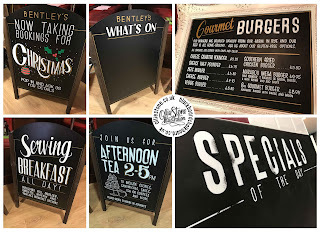 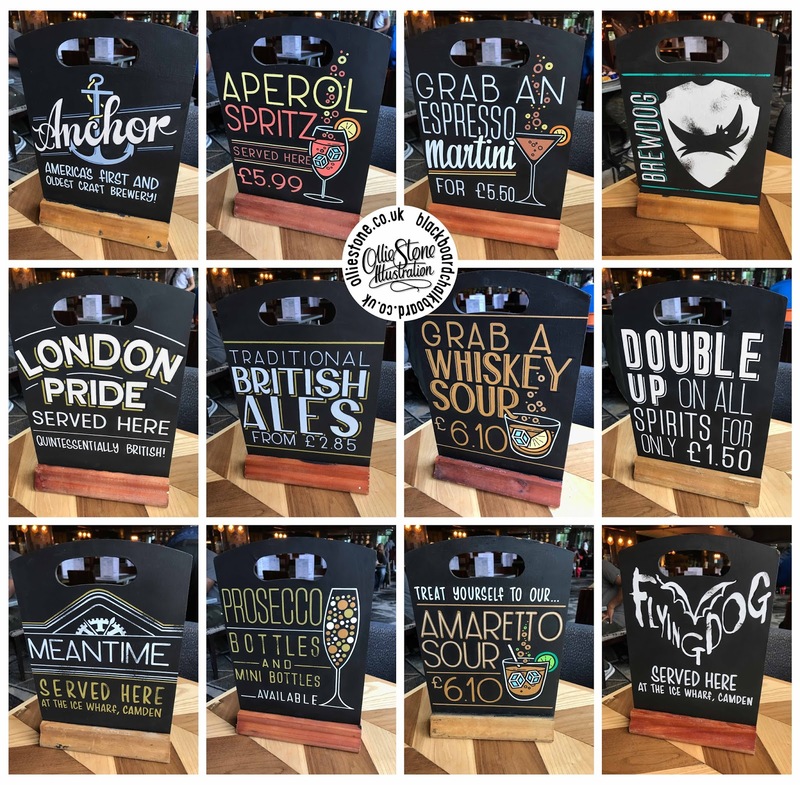 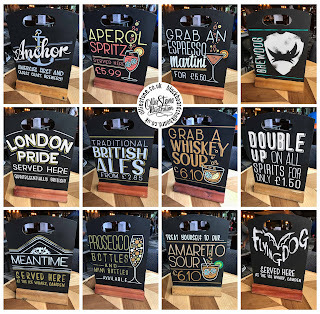 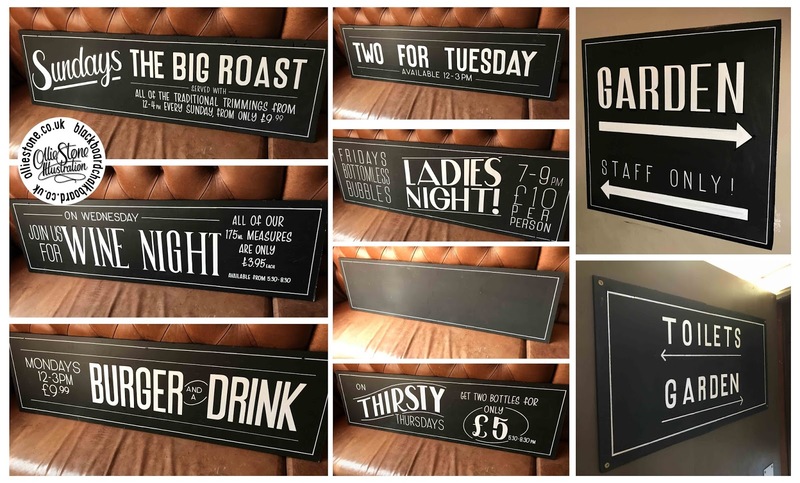 Chalkboard signage created for a client based in Bexhill. 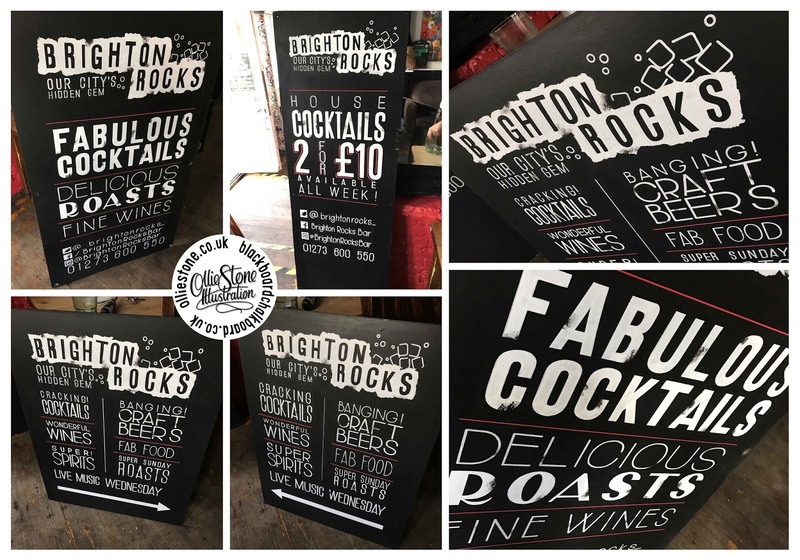 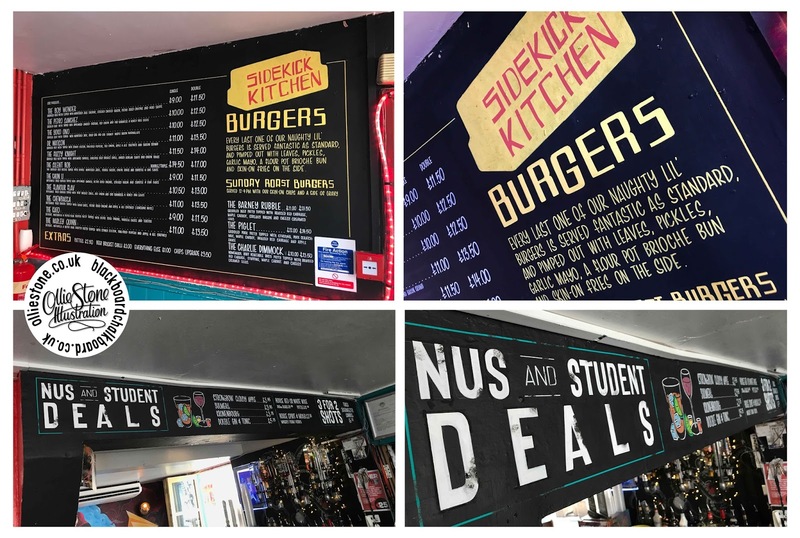 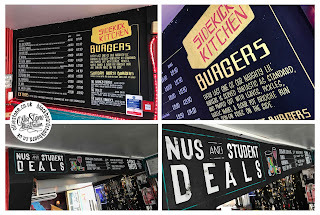 Chalkboard signage for Brighton Rocks, Brighton.